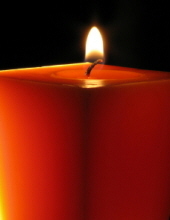 CASTERLINE, Marjorie Ann, 64, of Riverview, FL, formerly of Wilkes-Barre, passed away on Thursday, April 4, 2019. A graduate of WVW High School and a member of the Bradenton Moose Lodge, she is survived by her sons, Jason and Daniel Steffy; daughters, Alison Steffy and Marissa Rivera; brothers, Carl, Jr., William and David Casterline; sisters, Linda Carney and Carol Casterline and 7 grandchildren. To send flowers or a remembrance gift to the family of Marjorie Ann Casterline, please visit our Tribute Store. Guaranteed delivery before Marjorie's celebration of life gathering begins. "Email Address" would like to share the life celebration of Marjorie Ann Casterline. Click on the "link" to go to share a favorite memory or leave a condolence message for the family.